SAN FRANCISCO (KGO) -- An air quality advisory for potential smoke in parts of the region has been issued through Tuesday, the Bay Area Air Quality Management District said. 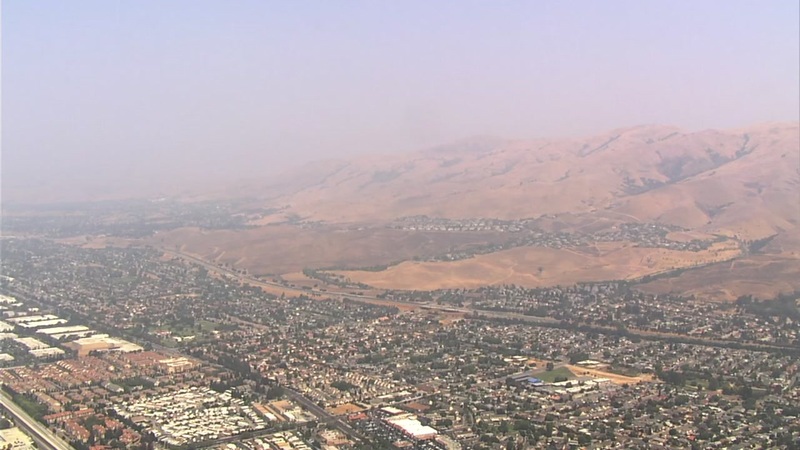 The northern and eastern counties of the Bay Area may experience hazy air quality conditions starting later today because of smoke from wildfires in Northern California and southern Oregon, the air district said. While smoke may be visible in the sky for the next few days, it is not forecast to affect air quality at ground level or mountain elevations, and the air district is not issuing a Spare the Air alert. If Bay Area residents smell smoke, they are encouraged to stay inside with windows and doors closed until the smoke level subsides. The air district also advises setting air conditioning units and car vent systems to re-circulate to prevent outside air from moving inside. Real-time air quality readings are available.